State Rep. Jaime Andrade Jr. started driving for Uber in June to supplement his income as Illinois' budget woes continue to delay paychecks for elected officials. As a result of the state’s budget stalemate, Illinois Comptroller Leslie Munger announced in April that lawmakers would have to wait in line to receive paychecks with other state vendors. Andrade and other state legislators haven’t received a paycheck since July. That check was for the month of April. The state representative said he didn’t know when his check for May will come. Since his government paychecks have been so inconsistent, Andrade said he has been forced to “figure out other stuff,” like cashing in life insurance policies. He also said he consulted with a lawyer about taking loans out against his political campaign, but was advised against it. Nevertheless, Andrade said other lawmakers have done just that. Additionally, Andrade has been using his mother’s old 2001 Chevrolet Venture to drive for Uber. He noted that he started driving for the rideshare company in Chicago and the surrounding suburbs at the end of the Spring legislative session. He hasn’t driven in Springfield yet. However, he says he believes the decision to delay lawmakers’ paychecks is a political move by Munger, who was appointed by Rauner and is up for re-election in the fall. Andrade noted that the delay has had “zero effect of moving the needle” on legislative budget action in Springfield. Rich Carter, spokesman for Munger’s office, told NBC 5’s Ward Room that paychecks are cut in the order that they are received, with the exception of certain court orders for things like payroll payments to state employees. The state’s current bill backlog is almost at $8 billion. Carter noted that that the paying of lawmakers “depends on the amount of revenue that comes in.” He referred to Munger’s recent estimate that those checks would be sent out in mid-late August. Nevertheless, Andrade said it was “only fair” that legislators’ pay was “delayed like everyone else’s” and voiced concerns for victims of the state’s impasse, like laid off social service workers. In his best week with Uber, Andrade said he logged 26 hours and earned $571. He noted that a driver can “make a decent living doing this” if they drive 40-50 hours per week. 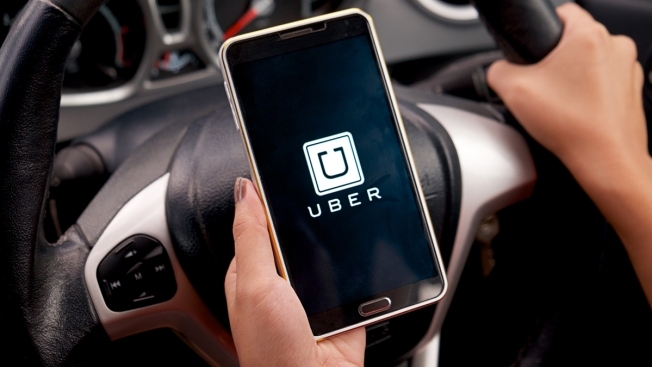 Andrade, who has an accounting degree from DePaul University and previously served as an assistant sergeant of arms for the Chicago City Council, said driving Uber is an ideal side gig because it allows him to make his own hours and remain focused on his government duties. “It allows me to always be on call,” Andrade said. “I need to make sure I’m always available for my constituents." Since his government paychecks have been so inconsistent, Andrade has been forced to “figure out other stuff,” like cashing in life insurance policies. He also consulted with a lawyer about taking loans out against his political campaign, but was advised against it. Nevertheless, Andrade claimed that other lawmakers have done just that. Additionally, Andrade has been using his mother’s old 2001 Chevrolet Venture to drive Uber. He noted that he started driving for the rideshare company in Chicago and the surrounding suburbs at the end of the Spring legislative session. He hasn’t driven in Springfield yet. However, he believes the decision to delay lawmakers’ paychecks is a political move by Munger, who was appointed by Rauner and is up for reelection in the fall. Andrade noted that the delay has had “zero effect of moving the needle” on legislative budget action in Springfield. Rich Carter, spokesman for Munger’s office, told Ward Room that paychecks are paid in the order that they are received, with the exception of certain court orders for things like payroll payments to state employees. The state’s current bill backlog is almost at $8 billion. Carter noted that that the payment of lawmakers’ paychecks “depends on the amount of revenue that comes in.” He referred to Munger’s recent estimate that those checks would be sent out in mid-late August. In his best week with Uber, Andrade logged 26 hours and earned $571. He noted that a driver can “make a decent living doing this” if they drive 40-50 hours per week. Andrade, who has an accounting degree from DePaul University and previously served as an Asst. Sergeant of Arms for the Chicago City Council, said driving Uber is an ideal side gig because it allows him to make his own hours and remain focused on his government duties.